SCOTTSDALE, AZ (January 8, 2018) – Forty military moms-to-be will be honored during an Operation Shower/Birdies for the Brave group baby shower on Tuesday, January 30, from 11 a.m. to 1 p.m. in the Birdies for the Brave Patriots’ Outpost presented by PRO EM located on the 18th hole of the Stadium Course at TPC Scottsdale. 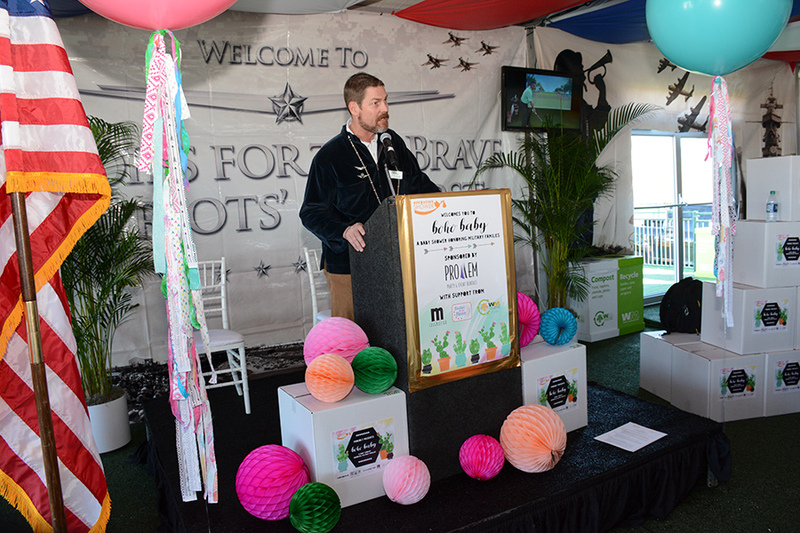 Hosted during the Waste Management Phoenix Open – the largest-attended professional golf event in the world – the shower will be the 100th military baby shower conducted by the non-profit Operation Shower. All of the moms being honored are either active duty themselves, or the spouse of a deployed or active duty service member from Luke Air Force Base, the Arizona National Guard, the Navy Operational Support Center – Tucson, or Sky Harbor Air National Guard. Local news broadcaster Andrea Robinson will serve as the event’s emcee. 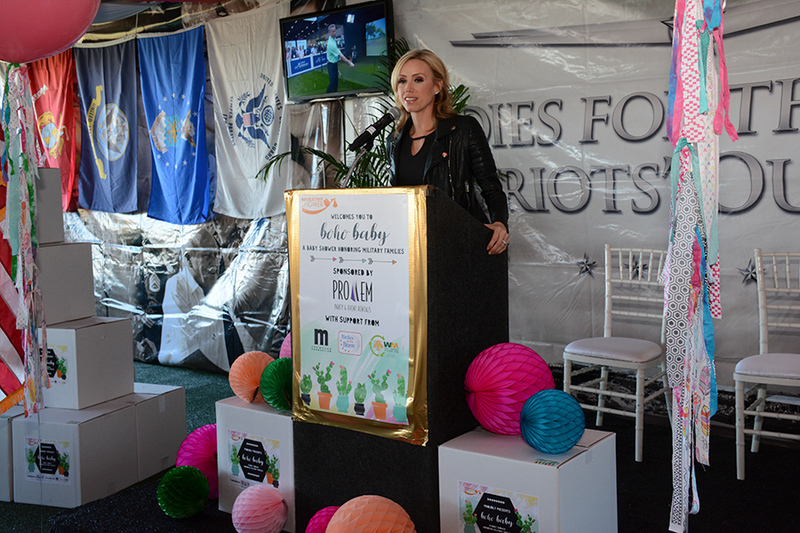 Conducted in partnership with Birdies for the Brave, a national military outreach initiative proudly supported by the PGA TOUR, the “Ready To Pop”-themed event is being presented by PRO EM Party & Event Rentals, with support from the Waste Management Phoenix Open, Discover Financial Services and The Mahan Foundation. 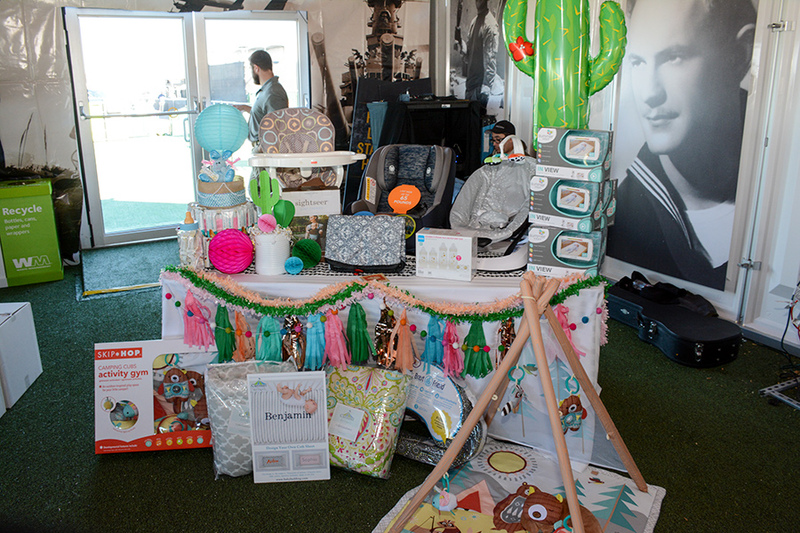 In addition to lunch, each of the honored moms will receive Operation Shower’s signature “Shower In A Box” – a gift of high-quality products for mothers and babies that have been donated by companies including 4moms, Chicco, Kendra Scott, Carousel Designs, Pampers and The Mahan Foundation. 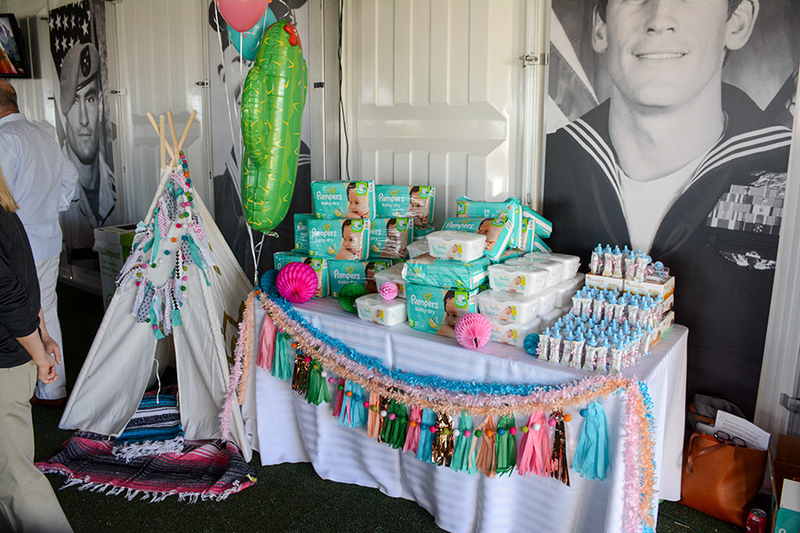 The Operation Shower/Birdies for the Brave group baby shower is just one of the many military outreach and appreciation activities that will be taking place during the WMPO. On Wednesday, WMPO and Birdies for the Brave will provide an opportunity for 20 active duty military members to caddie for PGA TOUR players on the 18th hole during the morning Pro-Am. All week long, active duty and Reserve military members, military retirees, National Guard members and non-retired veterans, as well as all first responders – plus one guest each, can enjoy complimentary tournament admission by visiting birdiesforthebrave.sheerid.com, having their status verified, and downloading a military/first responder voucher. The vouchers may be redeemed at any box office when presented along with a military ID or service badge. 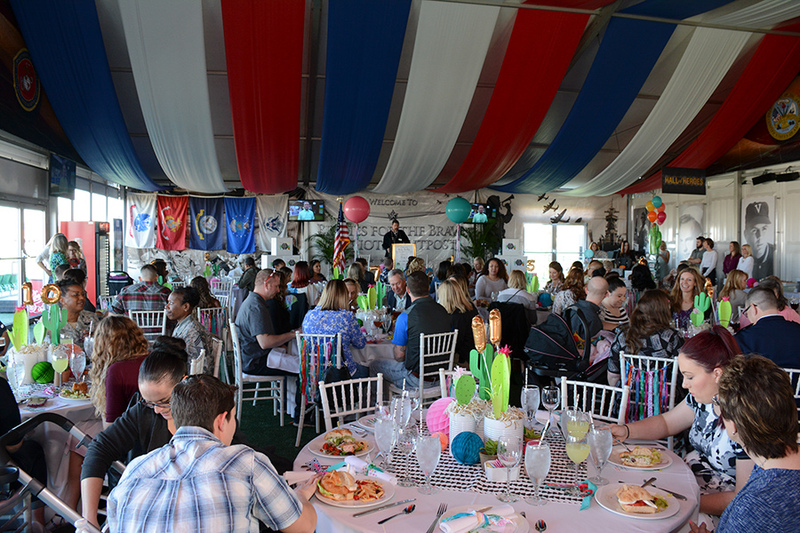 Once at the tournament, military guests can enjoy complimentary food and beverages and a relaxing place for viewing all of the tournament action in the Birdies for the Brave Patriots’ Outpost presented by PRO EM. The Outpost will be open from Wednesday, January 31, through Sunday, February 4. TPC Scottsdale is located at 17020 N. Hayden Road in Scottsdale. 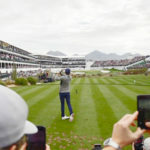 For tickets and more information about the Waste Management Phoenix Open, visit wmphoenixopen.com. 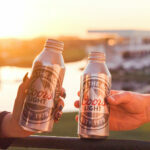 PRO EM Party & Event Rentals, Arizona’s only full-service event management and rental company, services more than 2,000 events annually ranging from large-scale, nationally-televised sporting events, concerts and festivals to smaller and more intimate corporate meetings, weddings and social gatherings. PRO EM’s Event Services team has more than 200 years of combined experience in event management, planning and logistics and professionally staffs all event positions, including valet, security guards, parking and traffic control and guest service representatives. For more information, please visit www.proem.org. Operation Shower is a non-profit organization dedicated to celebrating and honoring military families by providing joyful baby showers for military moms-to-be to ease the stress of deployment, or in cases where spouses are seriously injured. 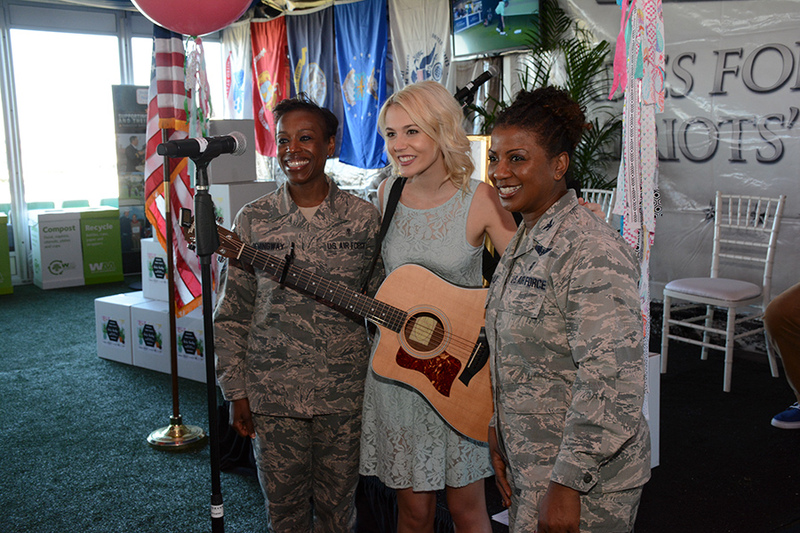 Since the organization’s inception in 2007, Operation Shower has showered more than 5,000 military moms from the Army, Navy, Air Force, Marines, Coast Guard and National Guard on military bases, during PGA TOUR tournaments, and at other locations. For more information, visit www.operationshower.org. Birdies for the Brave is a national military outreach initiative proudly supported by the PGA TOUR designed to show support and appreciation to the courageous men and women of our U.S. Armed Forces and their families. Birdies for the Brave was originally created in 2006 by PGA TOUR player Phil Mickelson and his wife, Amy, to support combat-injured troops. The PGA TOUR subsequently adopted Birdies for the Brave and expanded the program to include a variety of military outreach efforts in support of wounded veterans and military families. For more information, visit www.birdiesforthebrave.org.